Aeon, I’m fourteen, and probably either coffee, or pistachio. But I haven’t had ice cream in a while. 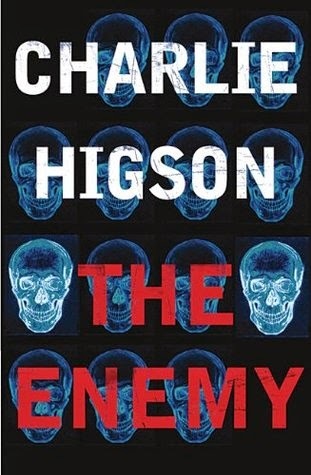 The Enemy by Charles Higson. I read this book because I’m really into horror dystopias, and this book caught my eye with its compelling blurb. I think this book goes into depth. In the story, I think the author put a lot of time in his characters and makes them individual. The characters are my favorite. All the characters are different in so many ways from each other. He goes into depth with their emotions and how they react to different situations -- and of course, ZOMBIES. There is no main character, but if I had the same problem that the kids share, it's kind of like loneliness, and they’re scared because they lost their parents. It’s kind of hard to imagine, if this hasn’t happened to you. And it’s a serious topic – I guess I’d try to lift the spirits of the other kids. I actually already showed it to my best friend and he really liked it and read the series. So I think he liked it. What I said was: Read the blurb! I love the books cover, it’s subtle, it’s simple but it give the impression of fear: there’s a kid running – and it compels you to ask questions like, what is he running from? Where’s he running to, and what’s happened? Yes, because every book is different, and the author creates every new book to be amazing, just like the last. Maze runner, because its about these kids who don’t know what happened and they try to piece together what has happened. Both books share the same emotion: fear, loneliness, and a feeling that there’s no hope. Can you write more? Please. Full of unexpected twists and quick-thinking heroes, "The Enemy" is a fast-paced, white-knuckle tale of survival in the face of unimaginable horror.